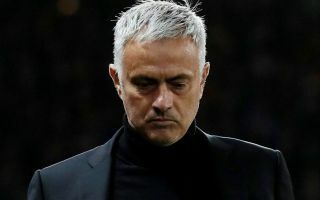 Former Manchester United manager Jose Mourinho has reportedly been contacted over becoming the manager of Argentine giants Boca Juniors in a somewhat surprise move. The Portuguese tactician has a reputation for being one of the finest coaches in world football, and despite some recent struggles in spells at Manchester United and Chelsea, one imagines he could still get a reasonably big job around Europe. Still, Polish source Sport.pl claims, citing sources in Italy, that Boca have been in touch about offering Mourinho a position, though it remains to be seen if he’d be interested. MUFC have already moved to replace Mourinho with Ole Gunnar Solskjaer on a temporary basis, and fans will hope this can restore something of a feel-good factor to the club again after a tough few months. In truth, Mourinho could probably do well to try his luck in South America or somewhere else a little more out of the spotlight in Europe, as he has perhaps looked a little burnt out in recent years after such a long and successful career at the highest level. That’s bound to take its toll even on the best, with some big-name managers known for taking sabbaticals in recent times, as the likes of Pep Guardiola and Luis Enrique have done in between jobs.